Home › War and its Legacy › February 1988 : 7 Days that led to war. February 1988 : 7 Days that led to war. Last year in Artsakh was the 20th Anniversary of the declaration of Independence from the Soviet Union and this year will be 20 years since the liberation of Shushi. These are significant milestones in the birth of the modern Nagorno-Karabakh Republic, but were nowhere near the “beginning”. The historical build up to the outbreak of any war is complicated, and any conflict in the South Caucasus is always going to be more complex than most. The territorial rights over a particular region and the accuracy over any historical position can be fraught with danger and controversy. Who has those rights will depend on how far one goes back, and what assumptions are made about the continuity of nationhood. Many geo-political issues seem to start with bad decisions which can take decades, if not centuries to resolve, and during that period whilst the politicians talk in cosy offices, the people involved, suffer. The separation of Germany into 2 halves with a divided Berlin, enclaved within East Germany was anomalous, and the building of a wall to split the populations was never going to be a long term position – it took 50 years to resolve. The creation of Israel without due respect to the existing Palestinian population has also caused suffering for over 60 years, and continues to do so. When the Autonomous Oblast of Nagorno-Karabakh was created in the 1920’s locked within the borders of the Azerbaijan Soviet Socialist Republic it should have been evident that this was not a sustainable position. A region with a majority Armenian population (90% per the USSR census) who had recent experience of being subjected to genocide at the hands of a Turkic country ( albeit not Azerbaijan) was never going to be a satisfactory position. I have read a number of theories as to why this was done, and there is documentation that NKAO was temporarily attached to Armenia. No one can be ever really be conclusive about why the decisions took place, and the secret politicking that occurred in the early days of the Soviet Empire, which caused a rapid change of mind. Suffice it to say that the sense behind enshrouding a population of Armenians within a potentially hostile environment defies much logic for either the Armenians or the Azeris. 65 years of Soviet rule blurred the edges of the borders and glossed over the cracks in the “walls”. Mikhail Gorbachev created a vision in 1987 in his book Perestroika which changed the lives of millions. “Perestroika means overcoming the stagnation process, breaking down the braking mechanism, creating a dependable and effective mechanism for acceleration of social and economic progress and giving it greater dynamism. Perestroika means mass initiative. It is the conference of development of democracy, socialist self-government, encouragement of initiative and creative endeavour, improved water and disciplined, more glasnost, criticism and self-criticism in all spheres of our society. It is utmost respect for the individual and consideration for personal dignity. And so it was on February 20th 1988, that the local Soviet of the NKAO used the opportunity provided by perestroika for “development of democracy”, “socialist self-government” and the Leninist principles of self-determination. Undoubtedly after 65 years of grinding, slow, compliant acceptance of Soviet bureaucracy and the control of a totalitarian regime, the request by the local Soviet was considered to be the act of an extremist revolutionary group. The speed with which conflict happened between the 2 groupings defies any rational explanation, and seems to be out of proportion to the simplicity, and formality of the original request. The first stirrings between the communities happened on February 21st, and by the 22nd angry protests took place in Aghdam. Some of the people from Aghdam set out for Stepanakert, and became involved in a fight near Askeran which resulted in people being killed on both sides. The numbers of people demonstrating in Yerevan grew from 20,000 on the 20th to a million by the 25th – this action by the people of NKAO had struck a sensitive chord with the people of Armenia. By February 27th the tragedy of Sumgait started with many Azeris seeking out Armenian residents, killing them and destroying property. Soghomon Markar Melkounian ; Born 1931 ; Killed 29 February 1988; Address Sumgait, 41st street, building 26, Appt 21; Killed with his wife and 3 children. Bodies burnt and mutilated, skull crushed. Seta Osip Tanielian; Born 1937 ; Killed 28 February 1988; Address Sumgait 3rd region, building 4/2; Dragged into the street by force with son and husband, raped and killed with husband. Cerebral haemorrhage and skull fractures. Head heavily mutilated. On first reading the history of these events, one is struck by the rapid deterioration into animosity between the 2 communities. This does imply that relations were at boiling point for some time, and that peace was always on a knife-edge. The lack of acceptance and tolerance of the Azeris to recognise the rights of people to self-determination within the Soviet policy of perestroika is surprising and this irrational reaction by the Azeris during these 7 days tipped the balance in relations which ultimately led to war. 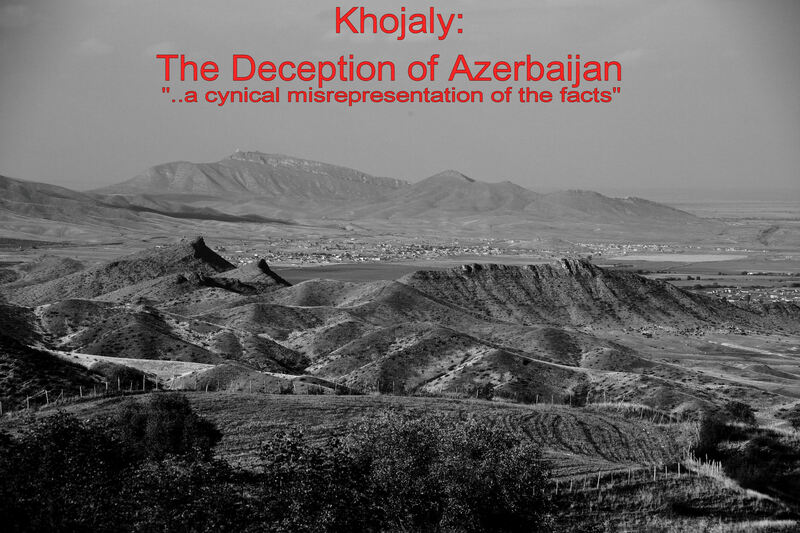 Azerbaijani refugees: Exploiting the vulnerable for propaganda. Refugees from the Nagorno-Karabakh War: Without the glare of propaganda. 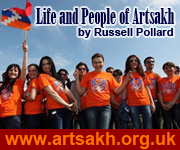 © Russell Pollard - www.Artsakh.Org.UK, 2011-2015. Unauthorized use and/or duplication of this material without express and written permission from this blog’s author and/or owner is strictly prohibited. 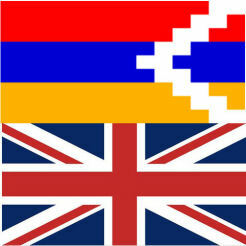 Brief excerpts and links may be used, provided that full and clear credit is given to Russell Pollard and www.Artsakh.Org.UK with appropriate and specific direction to the original content.